The plant was having difficulty with their differential level transmitters controlling ketchup levels in their deaerator. 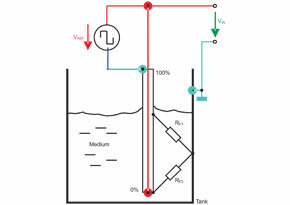 The level in the deaerator must be maintained to provide enough head on the discharge pump to prevent cavitation. Cavitation was resulting in inconsistent flow to the timing pumps producing erratic flows and filling, along with downtime from increased pump maintenance. Differential level transmitters can be quite sensitive to temperature variation. The deaerator operated from ambient temperature to 150F. From experience the plant had seen changes in temperature were causing erratic level outputs. We were asked if Anderson could provide a level solution that dynamic process temperature would not negatively impact. We supplied a LN Potentiometric level sensor to the plant for their evaluation. The Plant had tried top down capacitance level probes in the past but had switched to differential level because they could not solve the erratic output cause by coating. While similar in form to capacitance probes, the LN technology emulates a slide potentiometer. 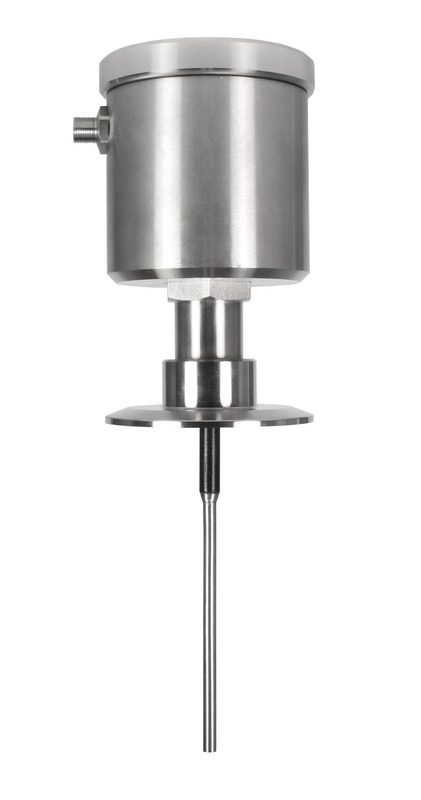 Temperature changes do not impact the measurement and coatings from sticky or viscous product are ignored because they merely form a parallel connection with the otherwise very low-resistance stainless probe. What is measured is only the actual product between tube and vessel wall. For the customer, the stable accurate level measurement the LN provided allowed them to better control the deaerator level, eliminated discharge pump cavitation, improved timing pump flow control and reduced discharge pump maintenance. This application success lead to the ongoing retrofit of all their deaerators.